Boston. What a place. This city is like no other. The architecture. The people. The landscape. Home. 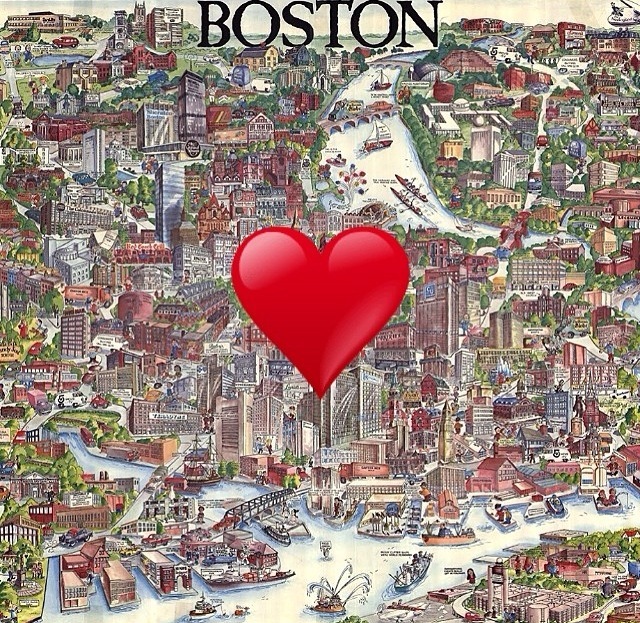 My heart aches that I can’t be there today to watch my city come together for the running of the Boston Marathon. 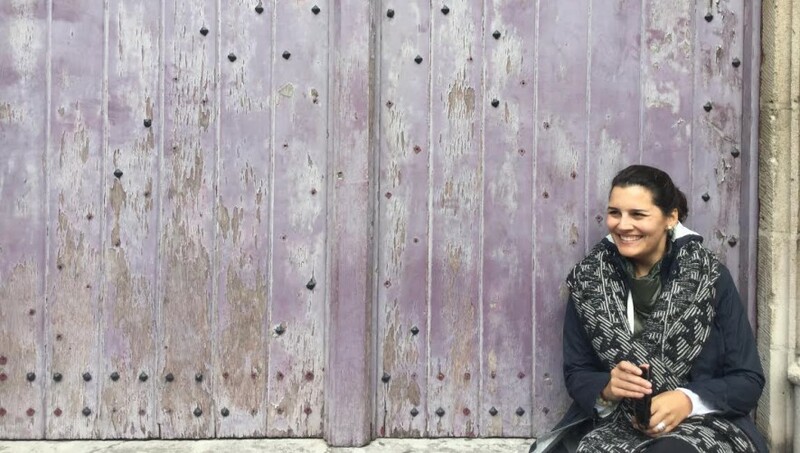 So many incredible stories have come out over the last year. Stories of tragedy and triumph. New beginnings. Bravery. Community. One such story is from my sweet church Old South located at the corner of Boylston and Dartmouth. The finish line. 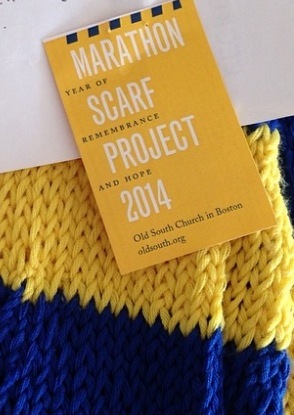 In February, members of the Old South Knitters Club came up with a beautiful idea: the Marathon Scarf Project. A simple idea really. To wrap runners in marathon blue and yellow scarves knit by hand. The group thought they could complete a few hundred at best. But like all good things, news of this project went viral and as of this weekend more than 7,000 scarves were handed out to runners. What an act of love. Now that’s what I call Boston Strong!